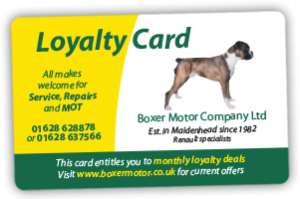 Boxer Motor Company is your local independent garage, situated in Reform Road, Maidenhead – just 5 minutes walk from the town centre. Established in 1982, we have the skills and experience to service, repair and MOT your vehicle at competitive prices without invaliding your warranty. 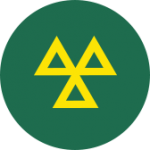 MOTs for cars, vans, pickups trucks, tippers, horseboxes and vehicles up to 3.5 Tons, Motor homes and Minibuses up to 5 Tons. Call or book an appointment online. Routine car servicing or a full service for all makes and models of vehicles. We can service new vehicles without affecting your warranty. Call us today. Experienced technicians to identify and rectify a wide range of vehicle repairs – quick turnaround with realistic pricing and timescales. FREE courtesy cars available. Diagnostic testing for petrol and diesel engine faults, MOT failures etc. Replacement tyres, exhausts, air conditioning servicing and aircon re-gas by F Gas certified technicians. We won’t lure you with unrealistic offers and we work to a set hourly rate so there will be no surprises when you pay your bill. 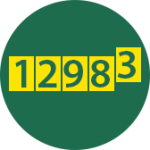 We build long term relationships with our customers – we are a garage you can trust and that is why people recommend us to their friends and family. We MOT cars and vans including Class 7 vehicles (up to 3,500kg), horse boxes up to 3.5 tonne, minibuses and motor homes up to 5 tonne. 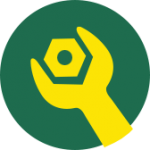 We are the only Renault & Dacia specialist garage in Maidenhead area but we work with all makes and models of vehicles. If you haven’t used us before why not register for a loyalty card and see what great savings you can make every month. Just 5 minutes walk from the town centre.